…and I’m going to Disneyland!! Melanie, you just won a sweepstakes. What are you going to do next? I’m going to Disneyland! Back in May, I entered a sweepstakes. 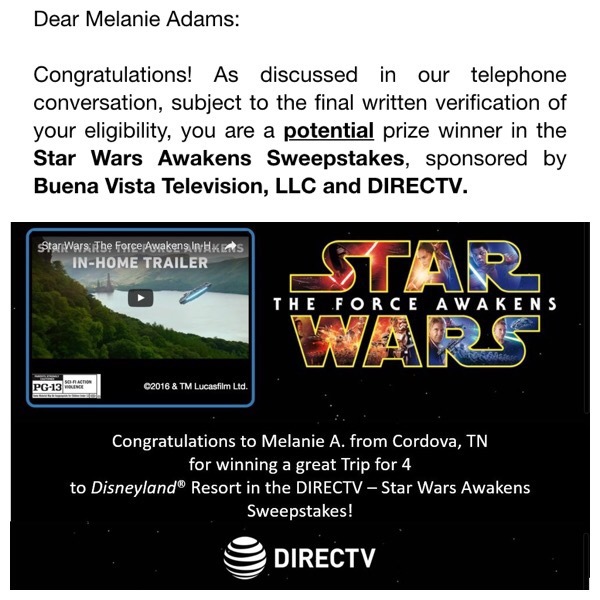 I don’t remember if I got an email, saw it on Facebook or saw it on Twitter, but DirectTV was promoting the On Demand debut of Star Wars: The Force Awakens by giving away a trip to Disneyland to one of its subscribers. You could enter daily, and I had the best intentions of doing so. I even saved the website on my phone’s browser. Alas, I only entered that one time and promptly forgot all about it. Do you recall entering the Star Wars Awakens Sweepstakes from DirectTV? You have been identified as a potential winner and I have some qualifying questions to ask. Are you a U.S. Resident? Were you over the age of 18 on the date of your entry, May (something, I don’t remember), 2016? I’m not going to ask you what it is but do you have a social security number? So I can confirm this, what is the name of the company where you do work? I have some paperwork that I need to send out to you. Do you remember the prize? I hope it’s a trip because that’s what I entered for. Yes! A 4 night trip to a Disneyland Resort Hotel, park hoppers and air for you and up to 3 additional guests, a VIP tour guide and a $500 Disney gift card. I will be sending paperwork out to you tomorrow. Should I mail them or email? I have your email as (proceeds to read it out). Is that correct? I will include a FedEx label for return and we need it back in 5 days. Congratulations. And then I started shaking. Did that really just happen? As you can imagine, it didn’t take long for my skepticism to set in. I tried to tune up my spidey senses so I could make sure I wasn’t being scammed in some way. Remember when I said I saved the sweepstakes website on my phone? This came in handy as I began my investigation into the legitimacy of my sweepstakes win. I read the official rules word-for-word, and everything matched up with what I was told on the call. I noted the name of the company administering the sweepstakes, and that’s the company that called me. I looked the company up on the Better Business Bureau and confirmed the phone number the representative gave me to reach them with questions. I looked her name up on LinkedIn to confirm she works for that company. Satisfied that this was legit, the next step was for me to complete my paperwork and send my affidavit of eligibility back in. This was for real, y’all! The thing about winning a sweepstakes, however, is that there isn’t much information out there about what to expect. I knew I was responsible for paying the taxes, and I’d calculated approximately how much that would be prior to accepting the prize, but I was clueless about how to actually claim it. I assumed it would be a quick, easy thing, but as it turns out, there was quite a bit of waiting involved. Stay tuned for more about that later. For now, though, I have the trip booked, and I’m so excited I can barely stand it. Have you ever won a trip in a sweepstakes? I don’t always participate in Throwback Thursday but this week I thought it was appropriate. I’ve been looking at a lot of old photos lately triggering multiple walks down memory lane. Currently, there are several fun Disney contests going on with trips up for grabs. One is Relive the Magic. 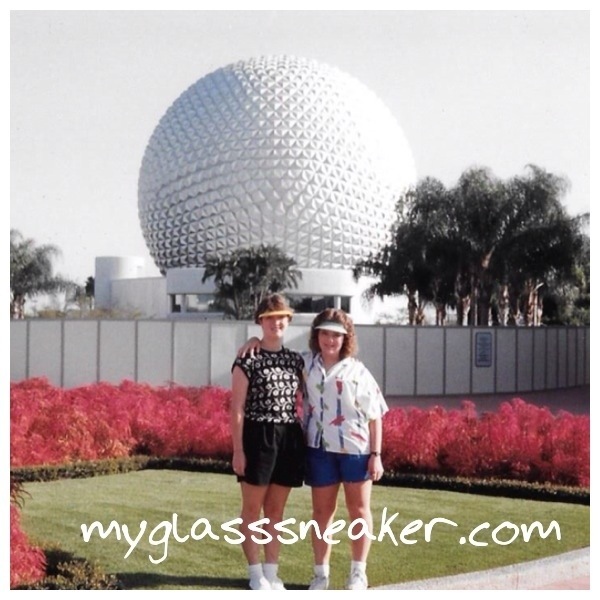 Disney is looking for pics from trips to Walt Disney World taken in the 70s and 80s. From this little exercise, I’ve learned that my parents didn’t take a lot of vacation pictures when we were growing up. 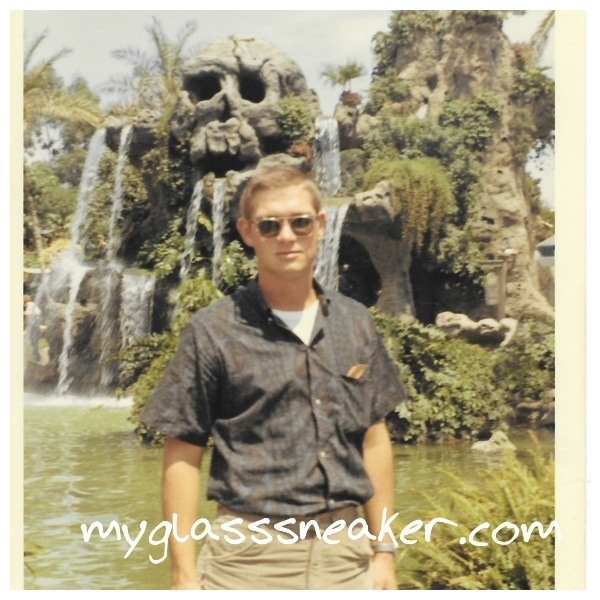 However, I did find a couple of pics that put me right back in the year of our first trip, 1987. 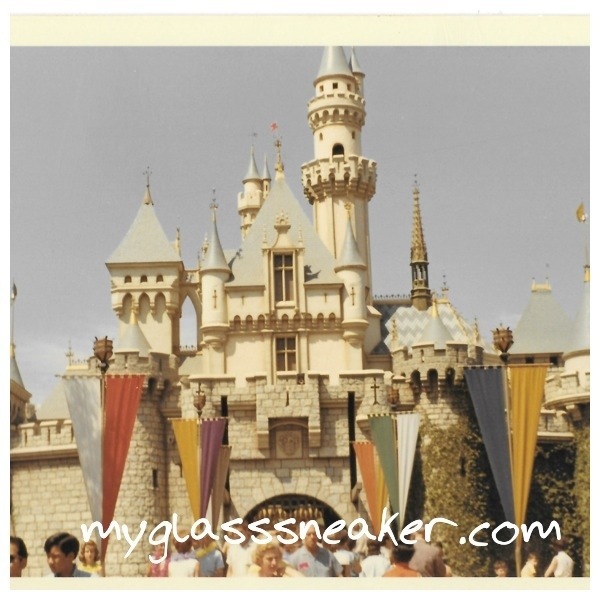 Another contest is Disneyland Through the Decades, in preparation for Disneyland’s 60th Birthday celebration next year. 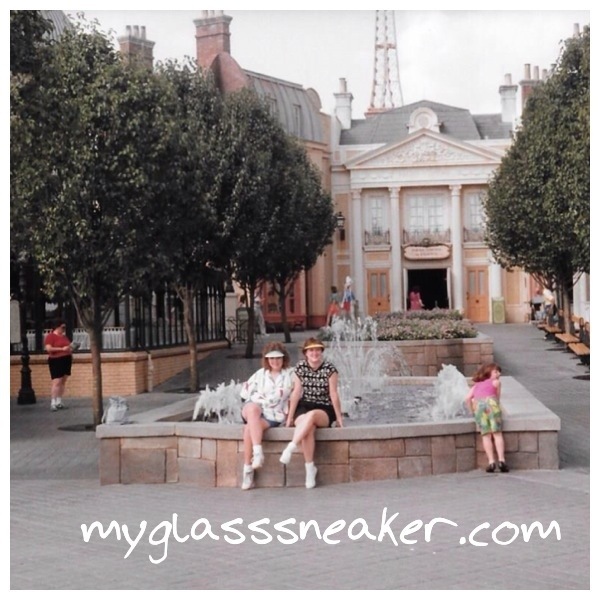 They are looking for Disneyland photos from the 50s, 60s, 70s, 80s, 90s, and 2000s. Sadly, I’ve never been to Disneyland. My dad, however, went in 1966 after completing his service in the Air Force. He had been stationed at Nellis Air Base in Las Vegas, and once he was discharged, before heading home to start the rest of his life, he and one of his Air Force buddies headed to Disneyland. I can almost hear the conversation now. “Guys, now that you’ve finished your duty in the Air Force what are you going to do next?” “I’m going to Disneyland!” Ok, it probably didn’t go exactly like that. Still, I’ve loved looking at the photos from that trip. One thing that has made me really happy is the memorabilia my dad kept from his trip, like this stir stick from the Tiki Gardens and his guide book from the park. 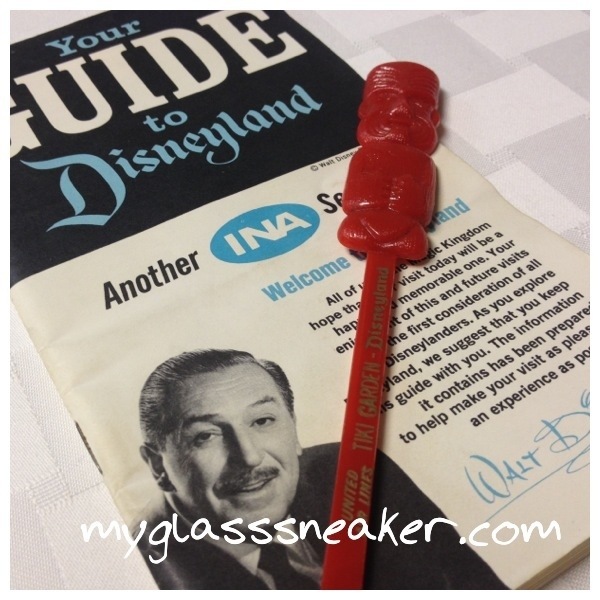 Walt was alive and well at that time and knowing he had more of a hand in these items than anything I’ve ever experienced at Walt Disney World makes them even more special. So I think this photo is fitting for the 3rd contest they have going on right now, the Disneyland Get Happier contest. They are looking for Disneyland photos that make you happy. I can’t think of anything that makes me happier than walking down memory lane with the people I love starring in those memories.